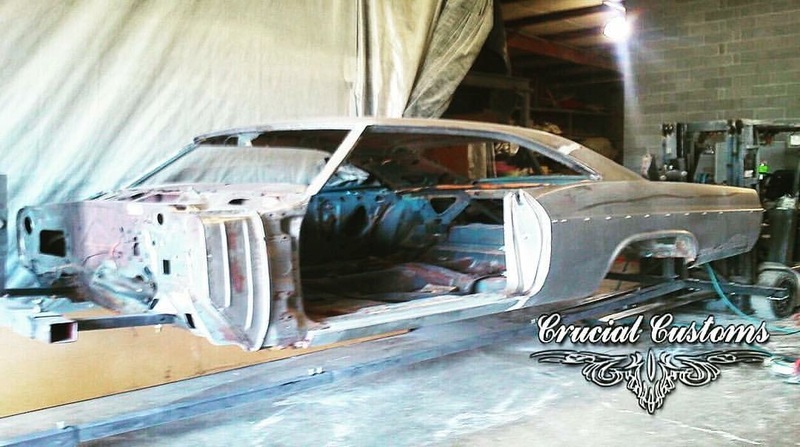 Crucial Customs and Restorations provides all aspects of automobile restoration. Whether you want a complete frame off or a partial build we have you covered. We treat every vehicle as though it will be competing in a show the day we deliver it to our client. We understand not every customer is looking for a “show only” car or truck, and that some just want to enjoy driving a beautiful classic automobile. With that in mind, we Detail our services to our clients wants And needs. While still creating an amazing vehicle that meets our clients expectations. 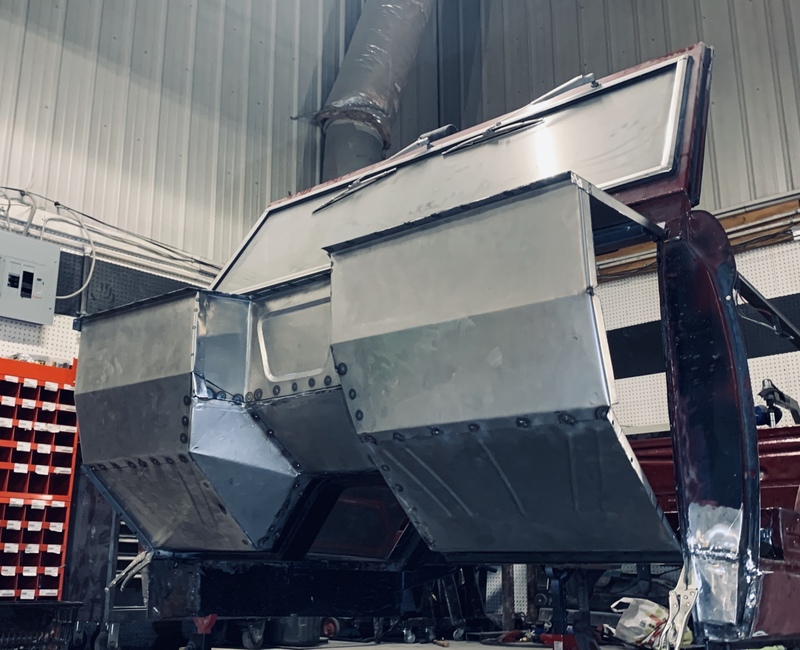 From body panel alignment and repair to rust repair and body panel fabrication our auto body team will insure your ride is within factory standards. Whether you are wanting a custom paint theme, maintain an factory original color or touch up the original paint our auto paint team will give it that show quality look our clients desire. If the vehicle is needing new trim and chrome work; or complete Weatherstrip replacement or assembly team will have it looking new again. There is no aspect of the auto restoration field our team can not handle. We provide all services in house and stand behind the parts we provide. So there is no reason to waste our clients valuable time and they have the confidence in knowing everything can be taken care of All at one location. Check out our Auto Restoration page for a More detailed list of services we provide. Crucial Customs and Restorations, not only restores and repairs your car or trucks outside appearance; we also provide all services for the driveline and power train of the automobile for our clients. Whether it be a tune up, repair work, maintenance, or a complete build our staff will have you up and running or stopping on a dime in no time. 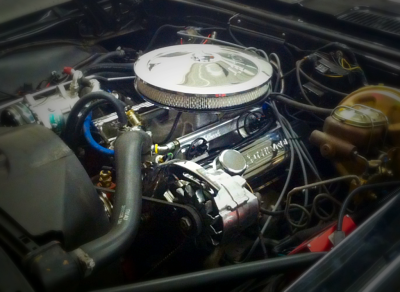 We understand how important it is for our clients classic vehicle to run and sound as good as it looks. From the engine and transmission to the rear end and exhaust we will insure that your vehicle performs like it should. If you prefer the classic look and sound or the power and efficiency of the modern electronic fuel injection engine our team will make your ride definitely turn heads. What good is all that power if you you can’t stop it? Well, our excellent staff can repair your brake or upgrade your existing system if needed. 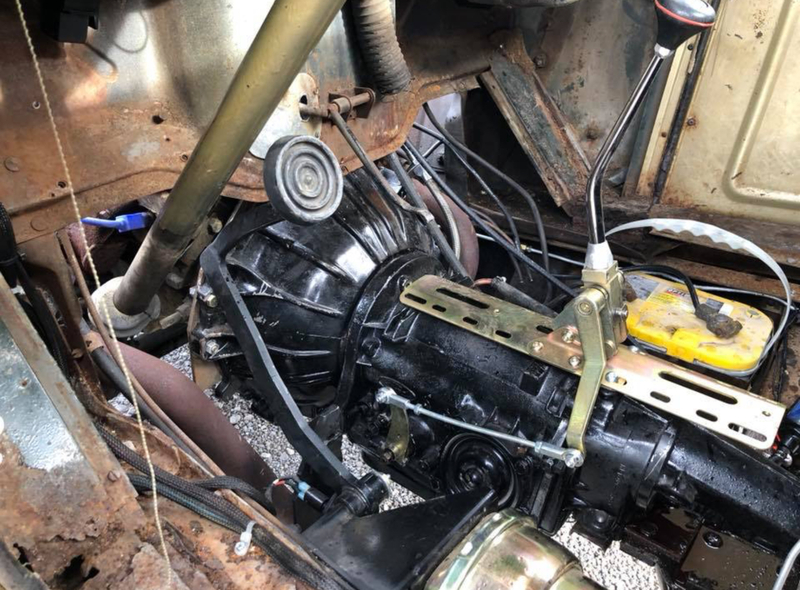 Whether you need or want a front or rear disc brake conversion, power brakes, or repair your existing set; we stop at nothing to insure our clients can. Check out some of our services on our Mechanical page and don’t hesitate any longer. Crucial Customs can take care of all your electrical problems. Whether there are minor shorts in the system or you want to ad circuits, our staff will resolve all of your issues. 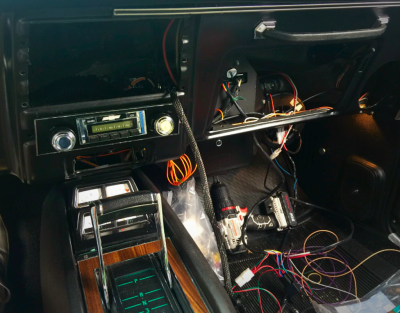 From complete wire harness upgrades, repairing shorts and brittle wires to adding power seats, electric fans and other accessories; our team handles all aspects of automotive electrical work. There is no reason for you to worry if you have the problem fixed or if you will blow another fuse. With Crucial Customs and Restorations on the job you can be assured that your car or truck is safe and all accessories are functioning properly. So don’t waste another precious moment of your time tracing wires and let the professionals take it from here. That way you can spend your time enjoying the things you prefer. Whether you need a complete repair and paint or just need your ride freshened up, our paint team will have your vehicle looking brand new. From complete color changes to touch up and paint repair, there is no job to big or small for our staff. Have an impossible color to match? Do not want to paint the complete vehicle? Just want some parts painted? There is nothing we can not do to insure your ride is always looking great. Whatever you can think up, we can make it a reality. From flake and pearl to custom paint and original colors. We do it all. Feel free to check out some of our work in the Photo Gallery​, and Call Us with your ideas today! 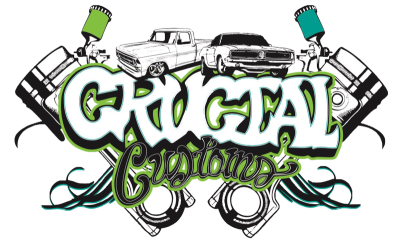 The staff at Crucial Customs and Restorations also makes repairs to our clients daily vehicles. 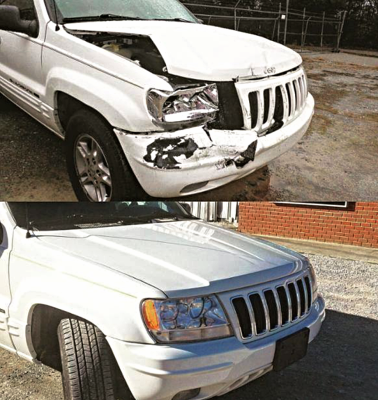 Why trust just anyone to handle the auto body repair to the vehicle you drive most? Keep you and your loved ones safe knowing that your vehicle has been fixed right and meets or exceeds factory standards. We know what our clients family means to them and we want to insure their safety every time they are traveling in their vehicle. Their is no reason not to trust the team that builds your dream classic or custom automobile to manage all repairs to your daily driver. 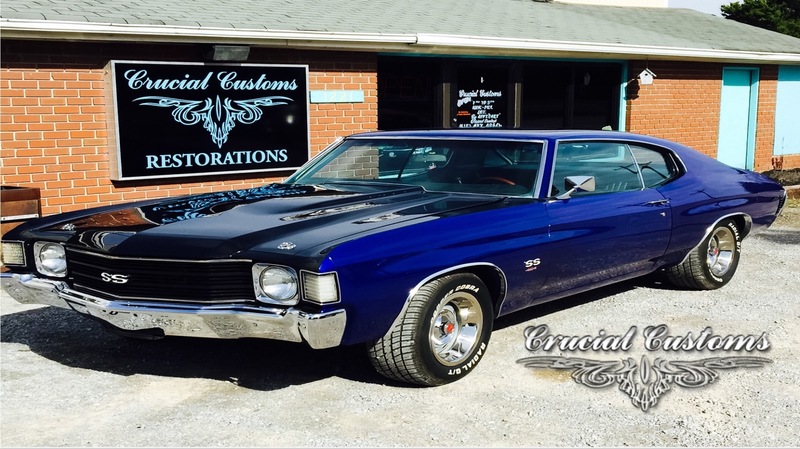 Crucial Customs and Restorations guarantees the same quality and workmanship is put in to every repair made to your every day Vehicle as it does with each and every classic car we work on daily. We take care of every automobile our clients have, so they can be assured that only the best practices are applied and the value and safety of their car or truck isn’t diminished. Feel free to CALL TODAY to set up your appointment for repair .